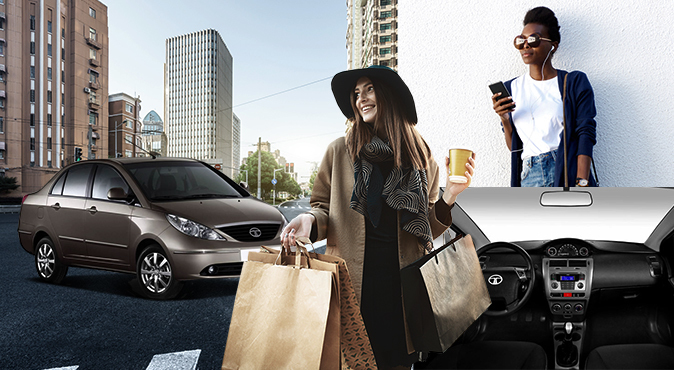 What drives your style, Joburgers? If you’re drawn to the bright city lights and spend your days coffee shop hopping, while your nights unfold wherever the neon lights take you, then the TATA Indica is the car for you. Super economical on fuel, it allows you to get your fill of the streets of Joburg… without needing to fill-up the tank too often. That means no more worrying about how much cash you’re shelling out for every kilometre so you can venture out further than ever before. 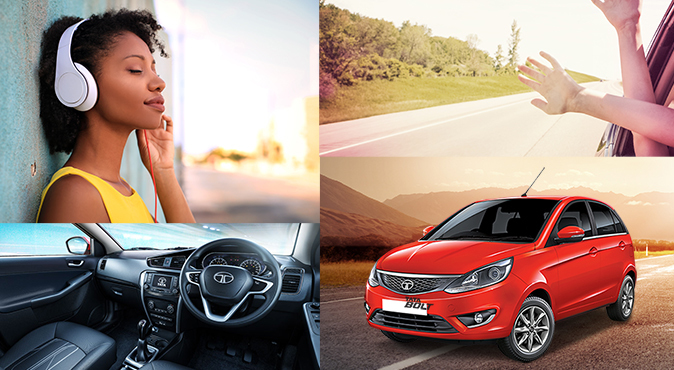 It also has power steering and premium air-conditioning, so you can keep your cool whenever you hit the streets. First Destination: Sin & Taxes, Rosebank’s hottest speak-easy style cocktail joint, to celebrate your new purchase, but just don’t drive yourself home afterwards! The TATA Vista boasts a long list of safety-features to protect that precious cargo, a super roomy interior and extra seat support, so even when the kids are a pain in the back, the drive won’t be. However, beyond all the things that make it a great car for parents, the Vista has something else that sets it apart as an excellent choice. While other family cars place more emphasis on functionality than aesthetic, this stylish hatchback has looks to send jaws dropping, with body coloured bumpers and a slick dual tone dashboard. Need to cart the kids to their friends? 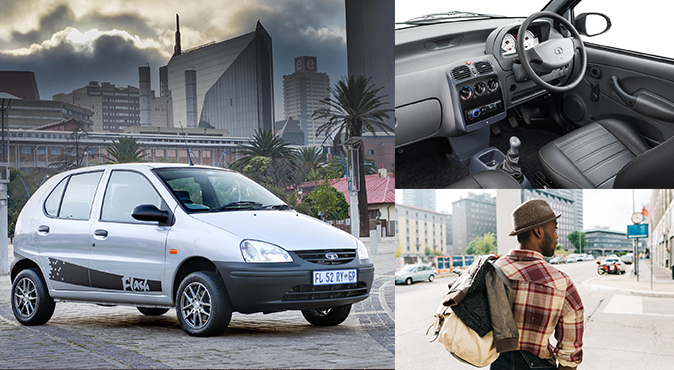 No problem – any excuse to hop in the car is a good one with a TATA Vista. First destination: Wherever you were planning to take that much-needed family vacation that you’ve been putting off for fear of the “when-are-we-going-to-get-there?” inducing drive. 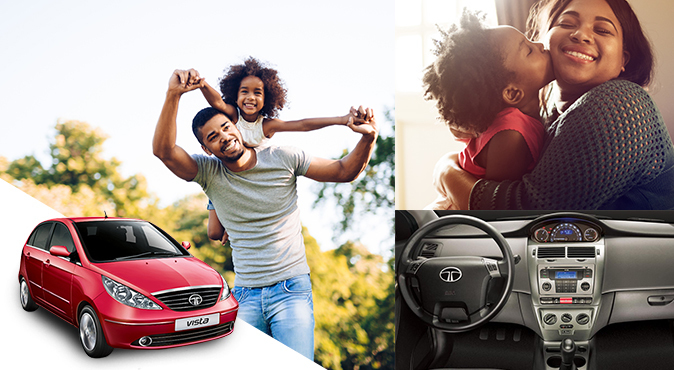 For some people, compromising style for comfort is just not an option, which is why the TATA Manza offers both. Lean back into luxury comfort with firm lumbar support seats and feel free to stretch out a little, because there’s a whole lot of extra legroom – all the while looking fabulous in this bold style statement car. It also has the largest boot space of all the cars in its class, and it can go even bigger by folding back the one-piece back seat. First destination: Sandton City, to test out that boot space with a few unquestionably vital purchases… like that handbag that caught your eye. There’s no doubt that you’ll go far with the TATA Bolt. It’s fuel efficiency has been put to the test with a comprehensive eco drive challenge – and it excelled! That means it’s a car that will go the extra mile for frequent travellers. And even when adventure’s not on the schedule, the car is designed to quicken your pulse with a sensory extravaganza of design, drive and seamless connectivity. Available in five exciting colours, the facia design is simple and the use of piano black plastic finishes, combined with chrome and darker grey gets heads turning. But it’s the interior the driver will really appreciate – no cheap plastic features here! Plus, it’s fitted with technologically advanced features, such as a state of the art infotainment system including four speakers, four tweeters, and video playback and image viewing via USB. First Destination: Does it matter? Adventure awaits.